How can The M&A Source help your business? 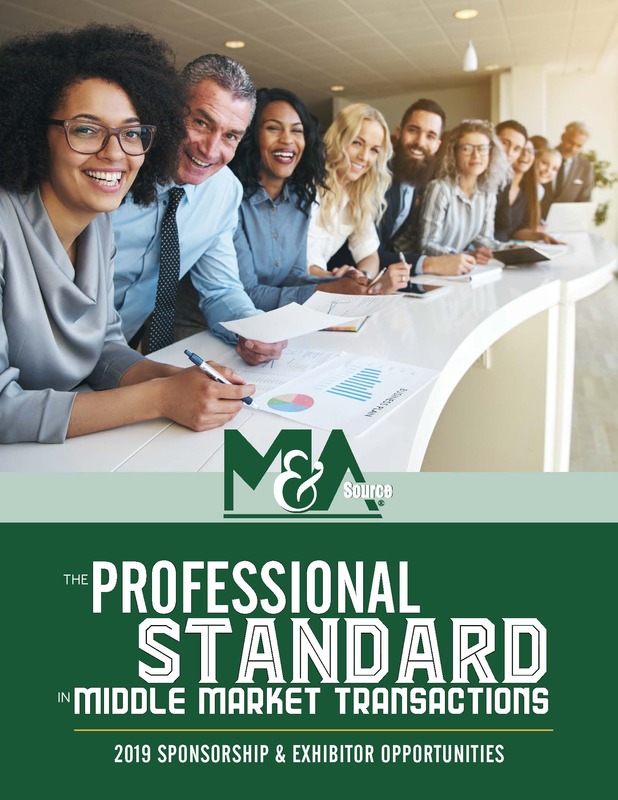 Sponsoring with The M&A Source puts your company’s name in front of thousands of lower middle market advisors, PEG representatives, and industry service providers. Being successful in business means connecting your clients to your products and/or services. The M&A Source is here to help you create a strong network and expand your circle of influence into the lower middle market community through various marketing opportunities to meet your needs. We look at the possibilities as a whole that fit your sales objectives and increase your contact base. There are two ways to participate – the annual Partner Program or Event Sponsorships. Raise your visibility online, in print, or onsite at one of our events by taking advantage of one of the year-round opportunities below through The M&A Source Partner Program. These bundled sponsorship packages provide new and enhanced ways of bringing your message to our community throughout the year, while saving you time and money. These packages are good for one calendar year. With The M&A Source Partner Program, your reach into the lower middle market world immediately increases. We are a global association of more than 11,000 contacts. Our goal is to enhance members’ capabilities in their day-to-day operations and management of clients. Contact sales@masource.org to start your partnership!